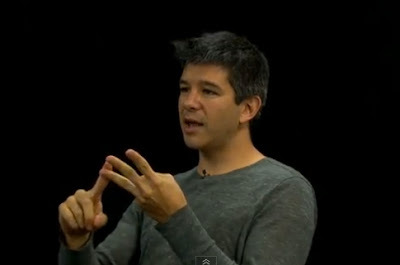 “Travis Kalanick is no stranger to corporate fisticuffs. The tech entrepreneur brought down the wrath of the film and music industries after starting a peer-to-peer service in 1998 called Scour, which was similar to Napster in that it allowed consumers to swap digital media files with each other. Two years later, filmmakers and TV producers sued his company for copyright infringement to the tune of $250 billion. Scour went out of business.